Imagine Ernest Hemingway sitting, lying back in a recliner after a long day of writing his latest novel, The Garden of Eden. This was the inspiration behind the sturdy, age-old design of the Hemingway Recliner. When you think about recliners, you think about relaxing. But far too long the elderly and others who have some difficulty with movement have had to get along without this comfort. They have always just been too difficult to get in and out of. But that has finally changed. Even with its old worldly style, the Hemingway Recliner is a tribute to modern technology and design. It is not merely a recliner. The Hemingway Recliner is a dual motor electric lift chair, specifically designed to assist anyone who has trouble getting in and out of chairs. The dual motor function allows for the leg recliner to be operated independently to the back. But the feature that most assists the elderly and people with limited range of motion, is that it also lifts to assist the person getting in and out of the chair. Like with all the lounges that we custom make here in Sydney, the Hemingway Recliner can be made to your specifications. You can choose from our range of more than 300 fabrics and leathers so your recliner will fit in with the design of the rest of the room you use it in. But we can only truly say that we custom make lounges for the Sydney market if we go further than merely giving you a choice of material. We in fact go a lot further than that. The back cushions of the Hemingway are built to be adjusted at will. There is a zipper on each chamber so if it is too hard or soft, it can be adjusted. Depending on the firmness you want, you can choose from Dunlop’s soft foam, medium foam, hard foam or Luxura foam. All Dunlop foams carry a 10 year warranty. 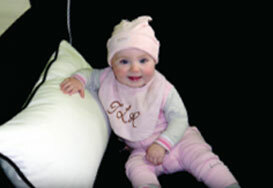 We also offer you the option of a duck feather seat and back cushion for that really soft touch. All our lounges are custom made in Sydney at our factory. Leisure Lounges uses an Australian made full timber frame. We don’t use any MDF or chipboard in our frames so we can confidently stand by our 10 year warranty.